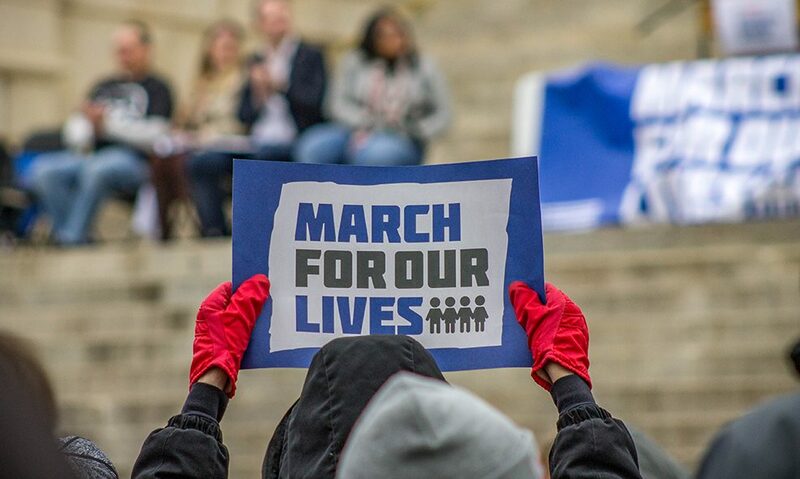 A protester holds their sign aloft in support of the "March of Our Lives" event on March 24 in Topeka. 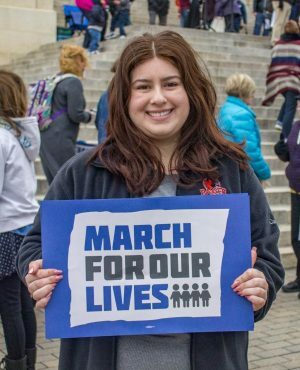 The main march was held in Washington, D.C., but sister marches were held all over the country. 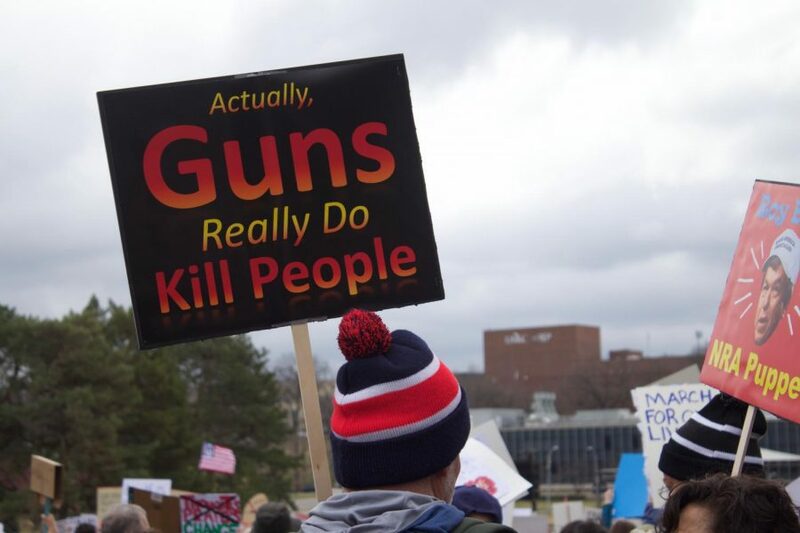 Gun violence. It’s an important topic in our country right now and has been for a long time. 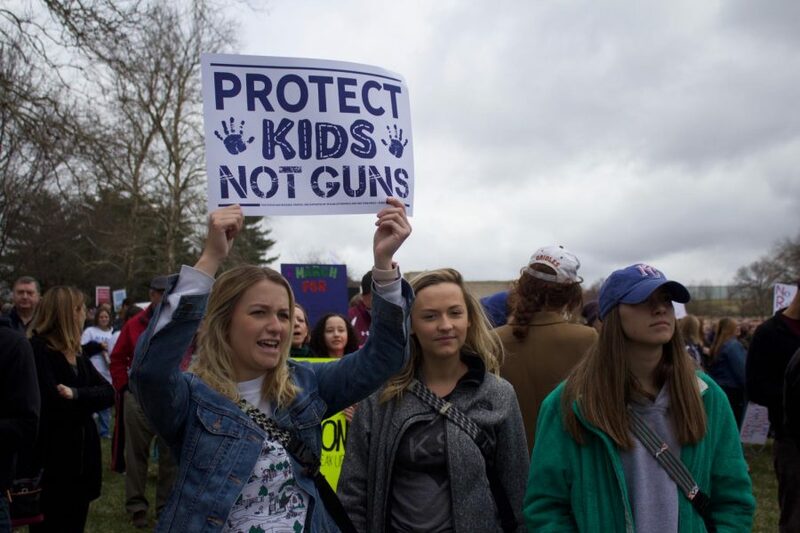 There have already been several school shootings in the beginning months of 2018, with the most devastating attack happening at Marjory Stoneman Douglas High School in Parkland, Florida, on Feb. 14. Seventeen lives were taken that day, lives that didn’t deserve to end. 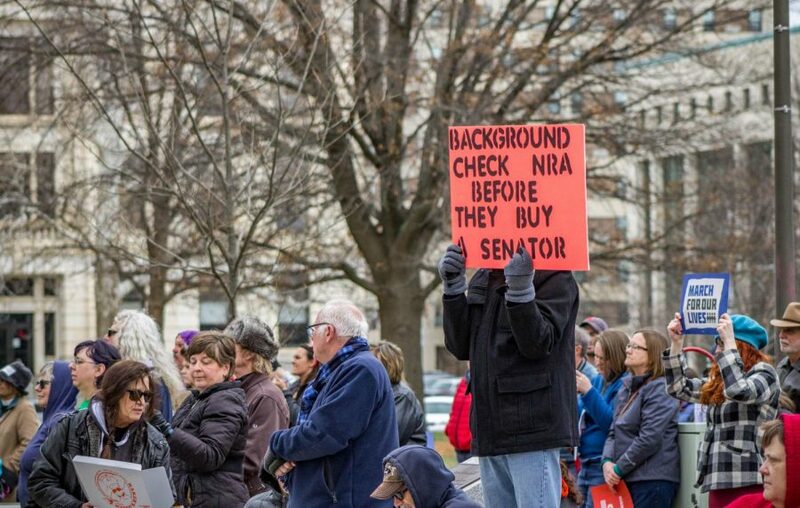 Gun violence has been an issue in our country for too long, and finally, people are starting to make real change. Did I or anyone else expect those people to be high school-aged kids? No. But maybe it’s poetic justice this way. The adults that are charged with protecting our youth weren’t succeeding so the youth took their protection into their own hands. 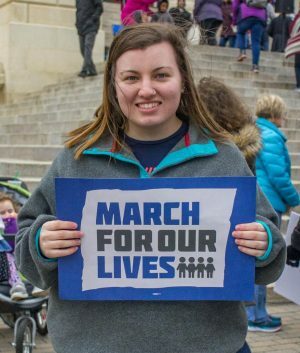 After attending the march in Topeka and seeing how many people went to the one in Washington, D.C., I realized just how many people were passionate about this issue. There were people of all ages, ethnicities and backgrounds at the marches. I really thought only younger people would show up, but I’m happy I was proven wrong. Still, we need to do better. No child should be afraid to go to school due to gun violence. The fact that they are now is just so incredibly sad. We can’t let this issue be swept under the rug like so many other’s have. Even though it may be tiring to keep having this conversation or to see it on the news all the time, we can’t stop talking about it until we fix it. 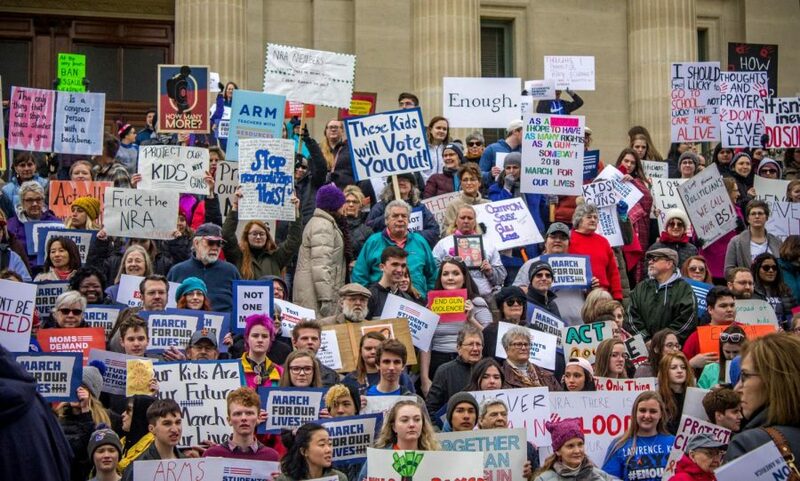 Freshman Hadley Kaff, senior Abby Kaff and freshman Emma Doane attend the “March for Our Lives” in Kansas City on March 24.